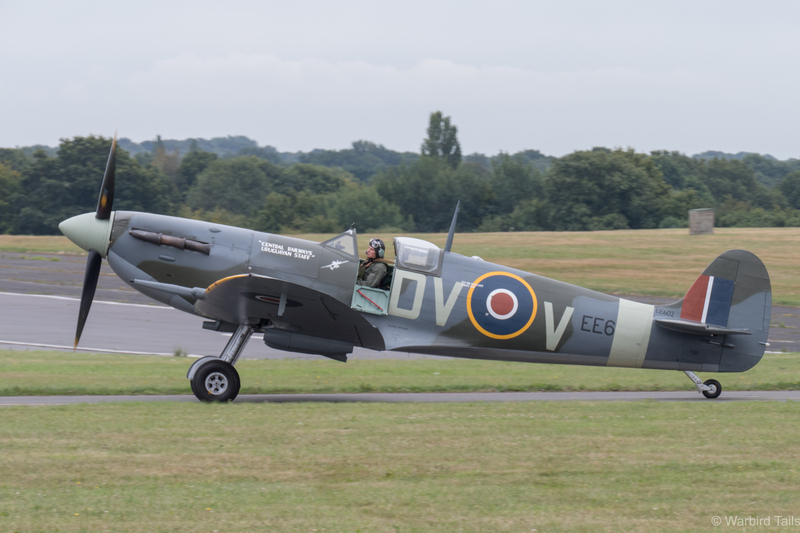 Following on from my photo-post, I wanted to put a few words together about this impressive event held at Biggin Hill in commemoration of the “Hardest Day” of the Battle Of Britain, 18th August 1940. A small section of the line-up prepares for take-off. Battle of Britain anniversary years always seem to bring out truly impressive spectacles, with the 16 Spitfire gathering at Duxford in 2010 for the 70th standing out in the memory. 2015 seems to be setting new standards for these events already. We have seen a number of excellent set pieces at airshows this year, and as the season draws to a close, we still have the largest to look forward to. Five Hurricanes were amongst the many highlights of the day. 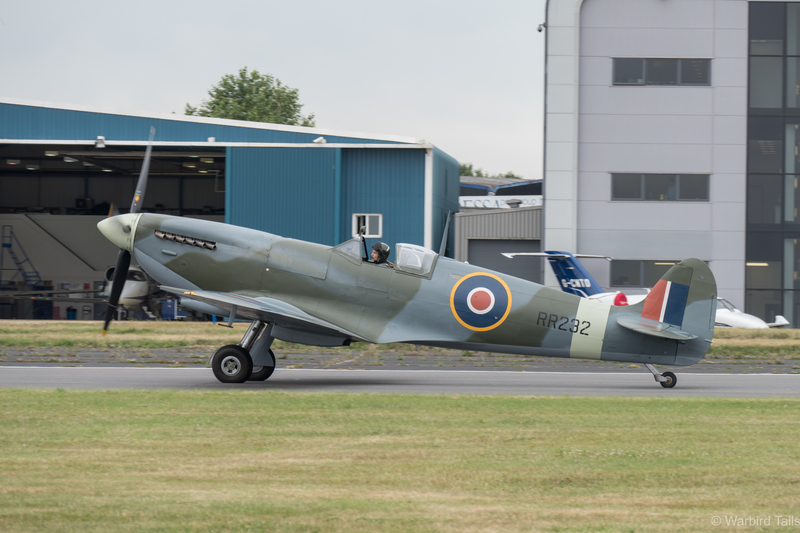 As we truly enter Battle of Britain “season”, a number of commemorative flypasts have been taking place, the first of these saw 13 Spitfires take to the northern skies, flying out of Humberside on the 13th August. One of the largest gatherings of Hurricanes in recent times. 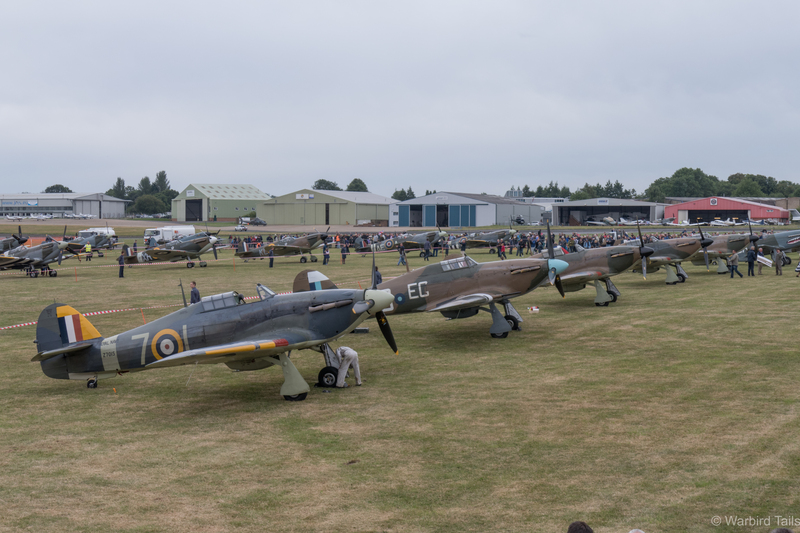 The biggest collection of Battle Of Britain aircraft so far this year could be found at Biggin Hill on the 18th August. Of the planned 20 Spitfire’s and 7 Hurricanes, there were 18 and 5 respectively, an extraordinary collection. The “paddock” had an extensive collection of aircraft. The aircraft would be separated in to three flights for the event, each tracking a different route around the southeast. 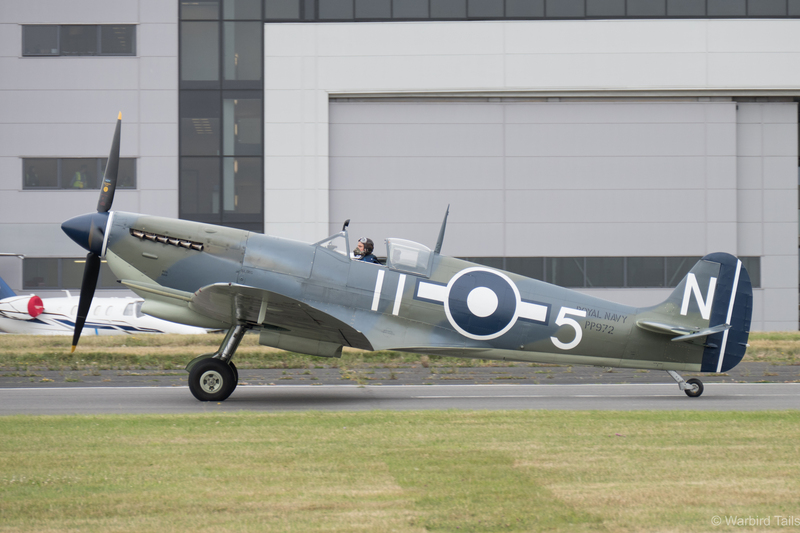 Biggin Hill Airport, in conjunction with the Heritage Hangar, offered 3000 tickets to get on the airfield for the event. Arriving to an overcast Biggin at 9:30, my initial concerns that the number of Spitfires left to arrive at Duxford may not make it through the weather were instantly put to rest as a four ship of Spitfires looked after by the Fighter Collection arrived in the overhead. With that arrival the tone was set for a truly remarkable couple of hours. The main “paddock” which you could walk around three quarters of, was wall to wall Spitfires with, at the time, four Hurricanes. It was a great surprise to see the previously un-announced Shuttleworth Sea Hurricane in the line-up, making a rare appearance away from Old Warden. Seeing this aircraft away from the grassy surrounds of Old Warden is a very rare sight. As the morning went on a few more aircraft arrived, some, such as the BBMF pair only had to make a short taxi across the airfield to join the party, while Peter Teichman’s Mk XI and the Boultbee T.IX had to fly in from further afield. Notable highlights of this remarkable collection were a few Spitfires making rare appearances. The newest restoration to fly from the Heritage Hangar, Mk V EE602 took pride of place as the first aircraft on view as you walked through the ticket check. This machine is a great looking example of the final “baby” Spit. Another “new” Spitfire on display was RR232, despite having first flown late in 2012 from Filton (the last aircraft to fly out of the airfield), ‘232 has been a bit of a recluse ever since. In fact, to the best of my knowledge this was the first public appearance. This Spitfire was a real highlight of the day, the factory fresh look is refreshing, you can’t beat a Mk IX with an early tail, perfect! A wonderful debut from RR232. Two Spitfires which would have been great highlights were two examples due in from Germany, sadly due to the weather covering the South East and Europe, they were unable to make it over on this occasion. I look forward to seeing them at Goodwood in couple of weeks. 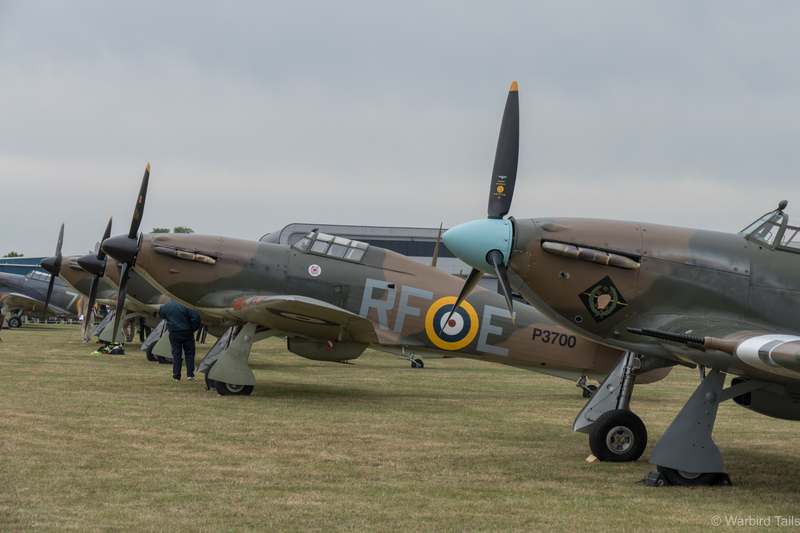 Once the paddock was complete the pilots made their way to the briefing whilst the press were given access to the line up along with the many veterans that had come to Biggin for the day. The mock scramble added to the ground entertainment. 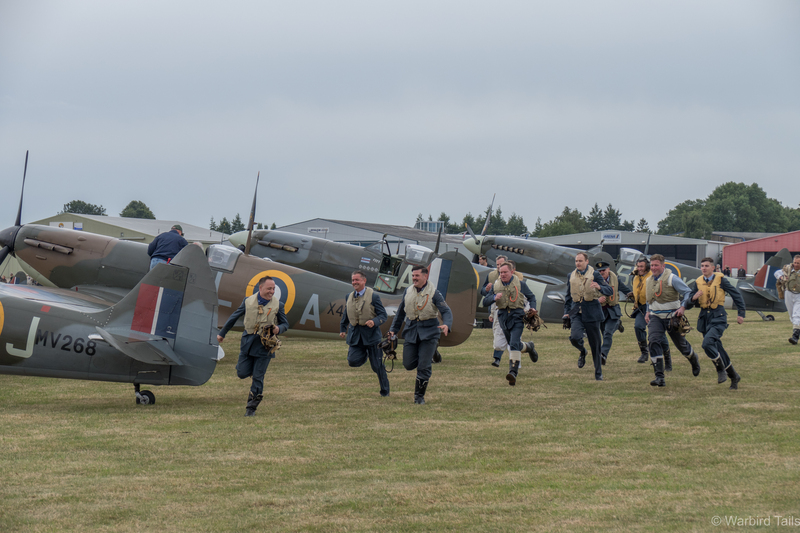 A highlight of this part of the day was the mock scramble put on for the press, with a group of re-enactors running out to the long line of Spitfires, a very nice touch. Soon it was time to start up and form up on the runway. There have been many mass warbird start-ups over the years at airshows, but this was something else. Seeing that many Merlins (and one Griffon) start up in that close a group was superb. The wonderful sight and sound of a Spitfire bursting into life. First to get airborne was Grice flight, which shortly after take off formed up and departed for the Isle of Wight. Each flight had a camera ship alongside, P-51D “The Shark” performed the role for this flight. 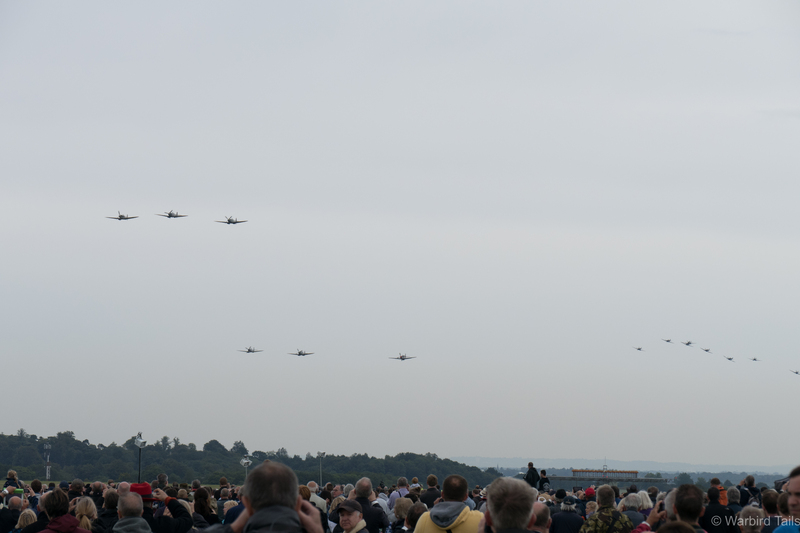 Next came Hamlyn flight, which featured no less than five Hurricanes, this formation slowly came together round the back of the airfield before passing over the crowd, seeing give Hurricanes in the same piece of sky was a wonderful sight. Hamlyn flight flew down towards the south-coast, turning back towards Biggin at Folkestone. 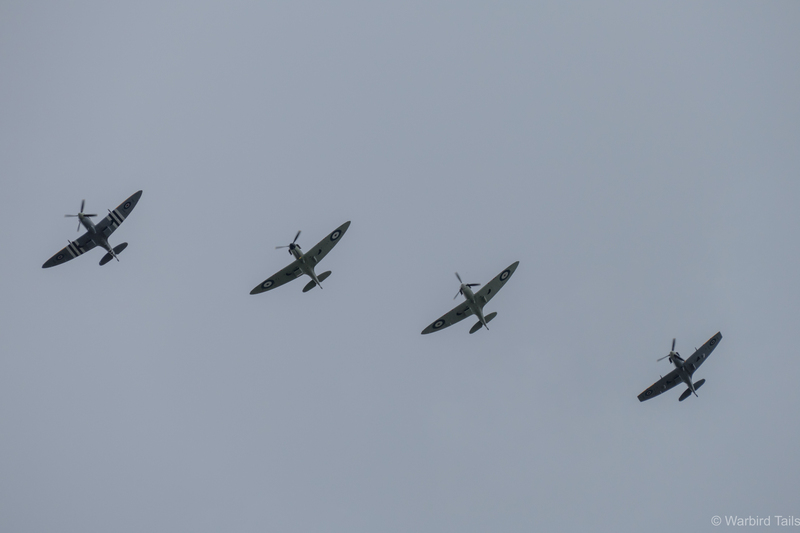 Four Spitfires from Mortimer flight circling above Biggin Hill. The final flight to take to the air was Mortimer, whose route kept them close to the airfield. Before they departed for their duties Mortimer circled around the airfield for a few passes. After ten minutes or so had passed Mortimer returned for a few minutes of passes in various formations, culminating in a lower level tail chase, while we waited for the other flights to return. 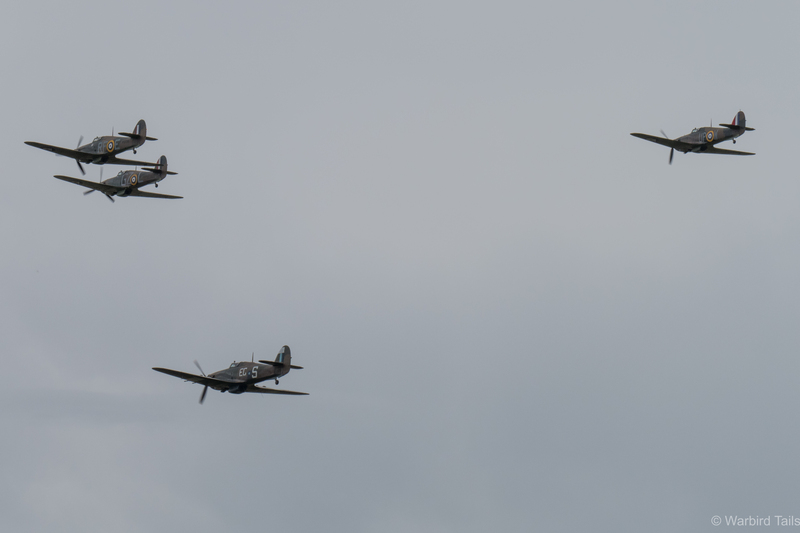 Four Hurricanes in close formation were a highlight of Hamlyn flight. When those flights did return we were treated to an amazing sight! Behaving much like squadrons would have during the battle, over twenty fighters lined up in a loose formation, filling the sky over Biggin. Each flight in turn performed a run and break to land. The landing process alone took around ten minutes as each aircraft found its own space in the spectacle. Seafire III PP772 was another rare addition to the line up. 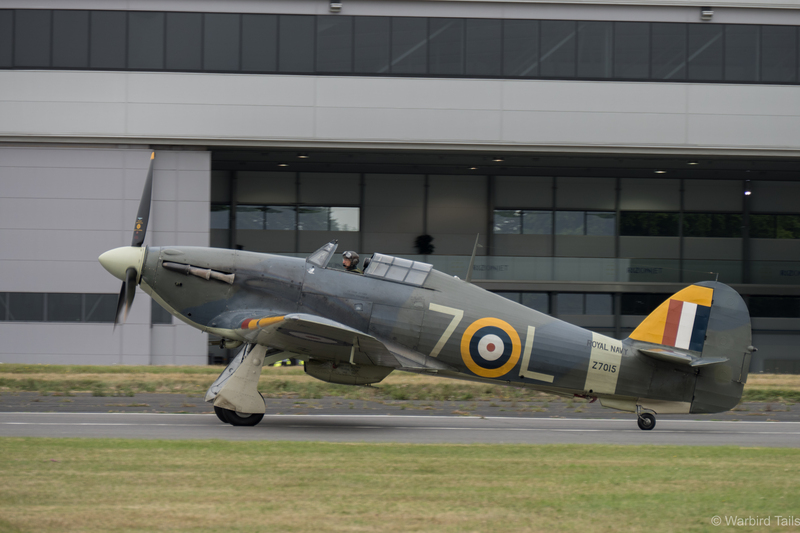 It was fitting that the close to the flying proceedings was a sweeping low pass and victory roll from Spitfire MH434, an aircraft that surely has more ties to Biggin Hill than any other in the modern age. 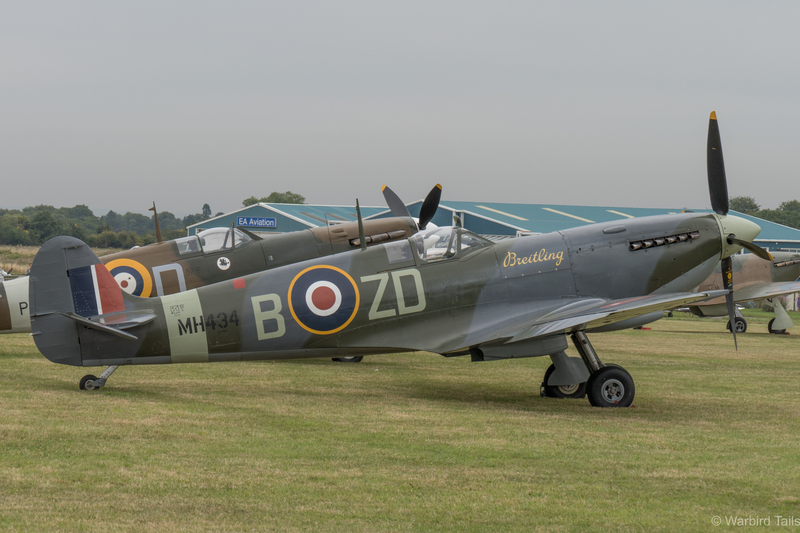 Mk IX MH434, a Spitfire with plenty of Biggin Hill connections. 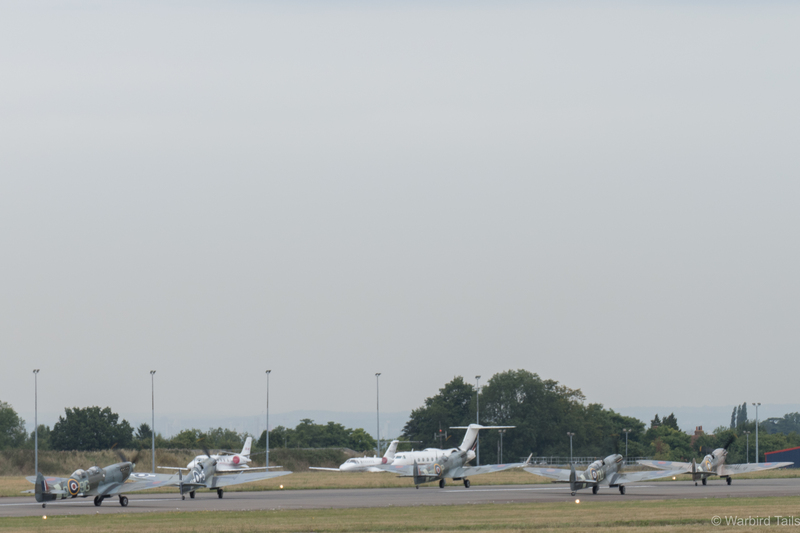 Once all the aircraft had returned to the parking area, the ground staff put barriers out around the impressive collection before opening things up for a flightline walk. 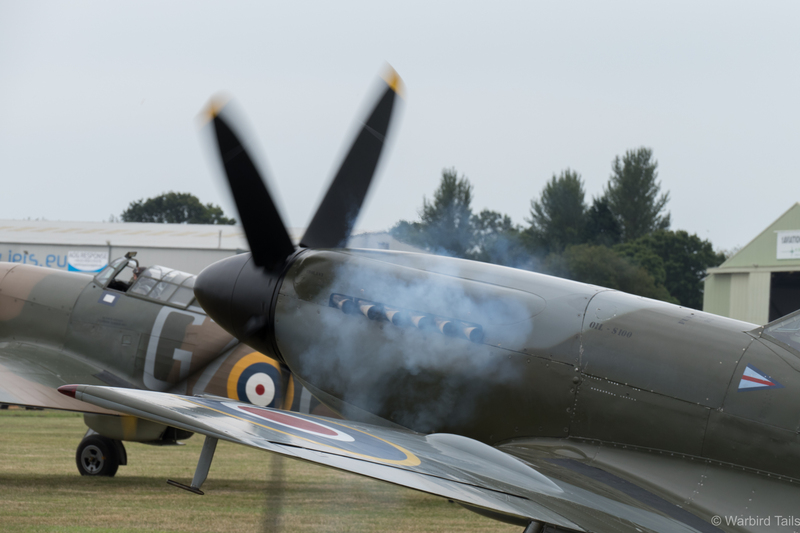 This event was never set to be a full airshow, it was a commemorative event and a unique chance to see one of the largest gatherings of Spitfires and Hurricanes since the war. The access was superb and the event site itself was very well managed. 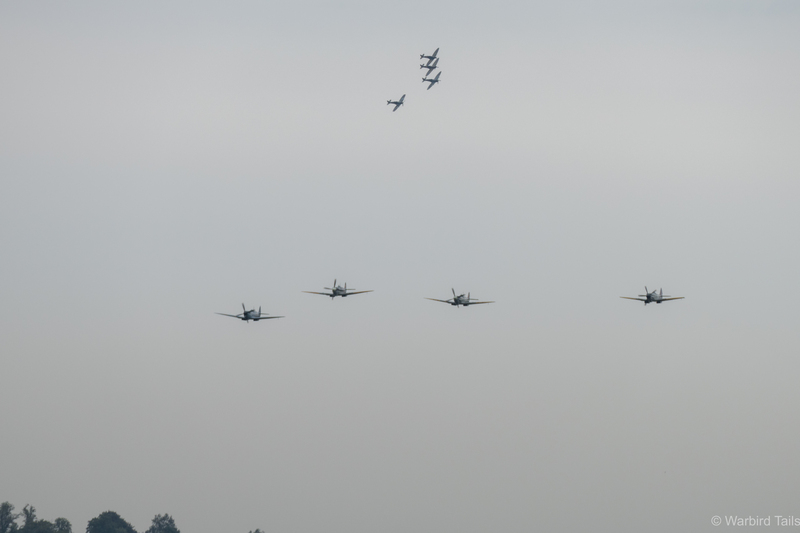 14 in one shot was the best I could manage but I think it gives an impression of the atmosphere of the event. 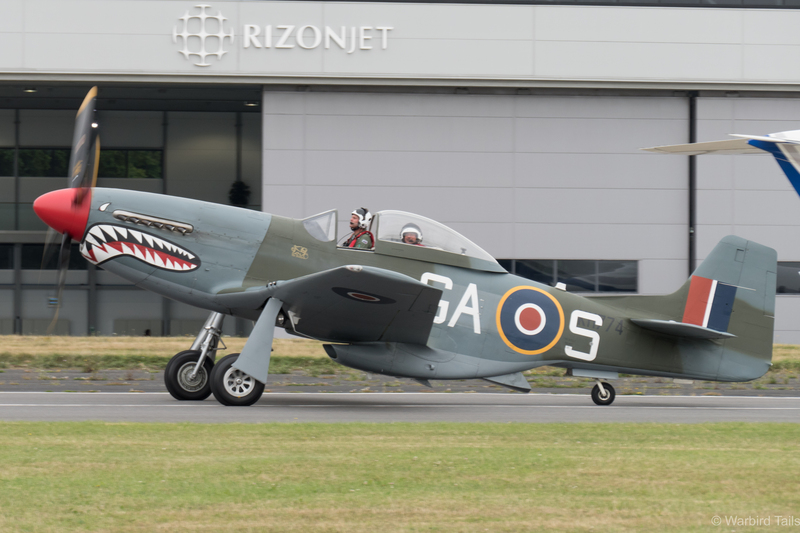 I would personally like to thank Biggin Hill Airport and the Heritage Hangar for providing the opportunity to be on the airfield and have such access to this historic collection. 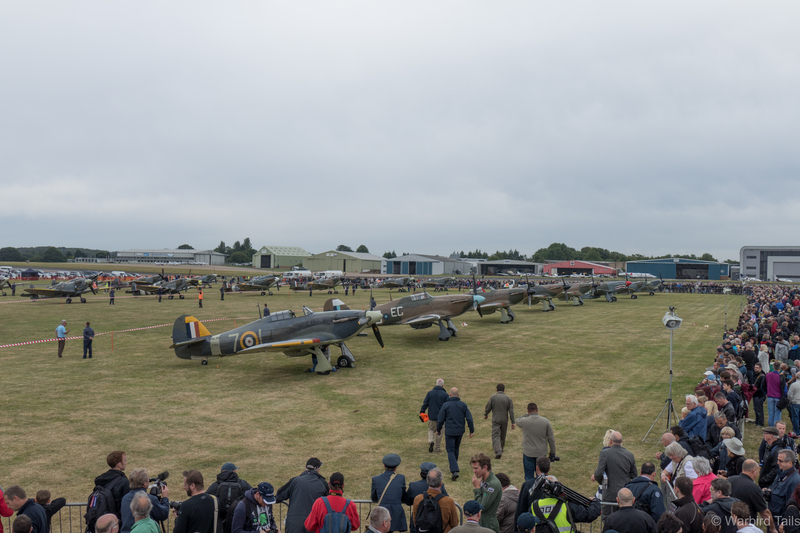 A full photographic record of each aircraft involved in this memorable day can be found here. The next Battle Of Britain flypasts will launch from Goodwood on the 15th September with an even larger number of aircraft set to take place. 2015’s tributes to the few have been truly remarkable so far and no doubt will continue to impress. I hope to attend this show one day.